The last of four wineries we visited on our recent trip to Tuscany was Fattoria di Felsina in Castelnuovo Berardenga, Siena. One thing that surprised me while scoping out Tuscan wineries to visit is how far apart they are. 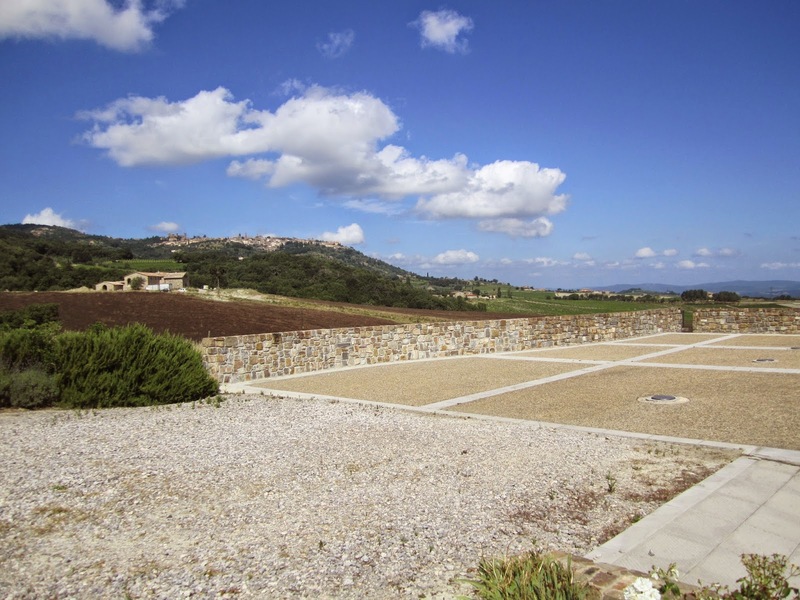 Compared to Napa or even Sonoma the great wineries of Tuscany are very spread out. Some were as close as 30 minutes away from our villa. Others would involve a 2.5 hour drive. Felsina was one of the closest and we paired our visit with an afternoon in the charming (and understandably touristy) town of San Gimignano. The wine in the Felsina portfolio that piqued my interest was Fontalloro - a 100% Sangiovese Tuscan IGT that sells for just south of $50 here in the US (review). 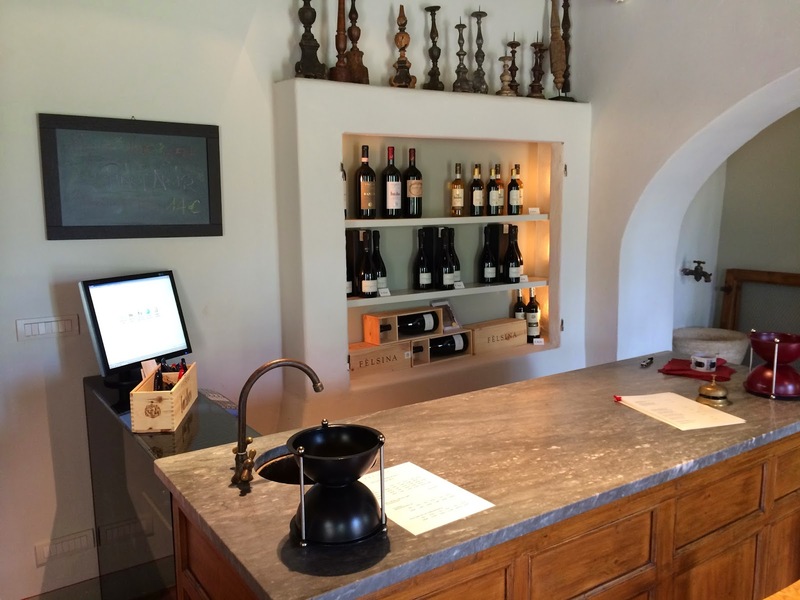 Of the wineries we visited, Felsina was the one most prepared to receive visitors in a public tasting room. As with any winery, you'll want to drop them an email for sure, but they're well equipped to receive visitors and their grounds are polished and inviting. Felsina was founded in 1966. Production is centered around the southern-most part of Chianti. They make 450,000 bottles a year, 75% of which is exported. The US is their most important market. Their cellars are some of the most intriguing I've seen. 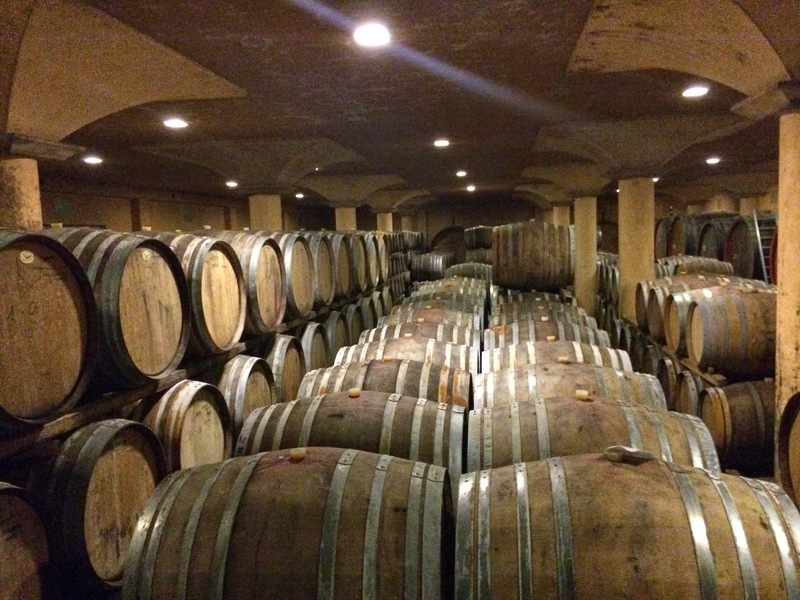 The form factor of the cellar space has dictated the size of the barrels they can use. They've had large barrels custom-crafted to fit available space. The well-kept yet rustic charm and attention to detail was striking. Their overall portfolio is broader than I anticipated. Some of the wines we tasted weren't exported to the US. And of the ones expected to the US, some are imported at low volumes. 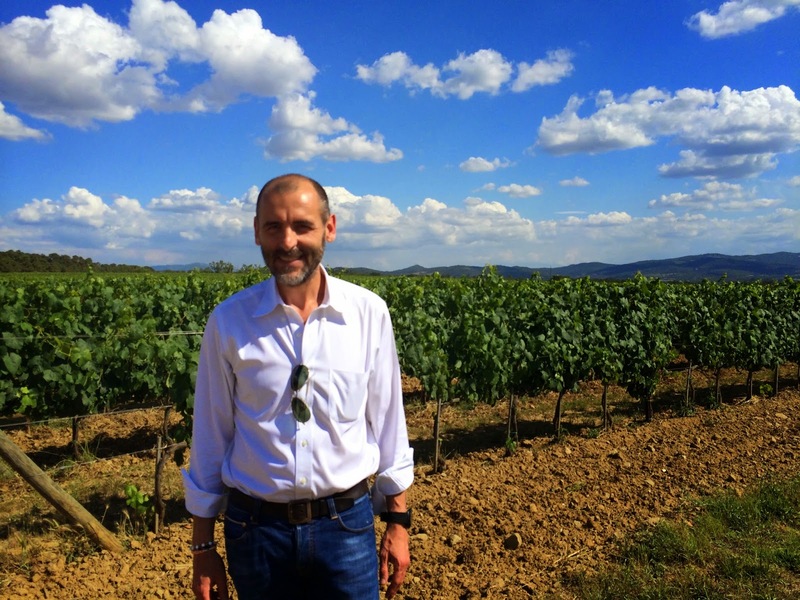 Franco Bernabei (Fontodi, Ruffino) serves as consulting winemaker. Thanks to Export Manager Chiara Leonini who served as our gracious hostess. 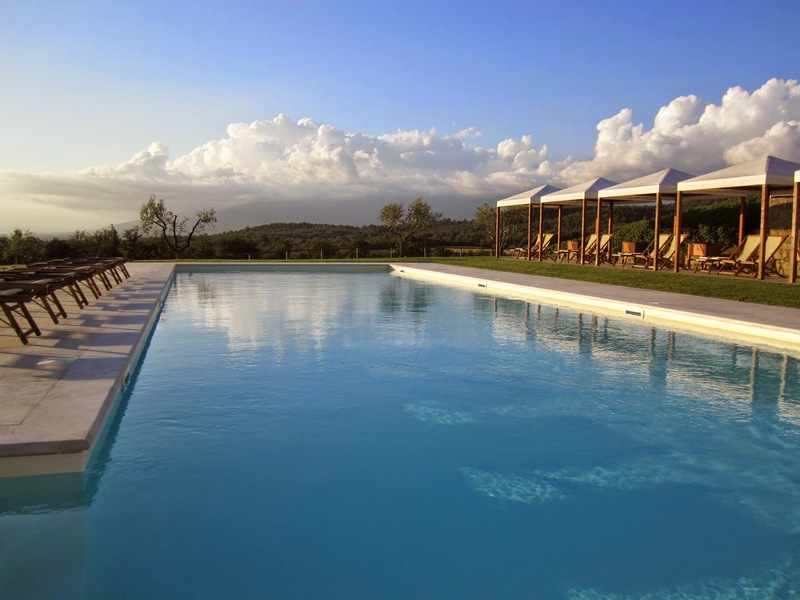 Fattoria di Felsina is a gorgeous property which manages to preserve its rustic charm and fuse it with refined elegance. The Felsina Rancia (pronounced raunch-ee-uh) was the discovery of the visit for me. I came in positively predisposed to prefer Fontalloro but the Rancia is even more to my liking. Terrific stuff. Although it's solidly a $40+ wine on You can buy it right now for as little as $32 on Wine.com thanks to some trickery described in this post. I'll be summing up our time in Italy with some tips for planning a visiting Tuscan wine country with family in a future post. I'd love it if you subscribed to The Wellesey Wine Press. I wrote last week about how you can get $30 off $100 at Wine.com with code AMEX30 and stack it with free shipping, additional portal savings, and no tax in Massachusetts for total effecitve savings of 35+%. I thought it would be helpful point out a few of the better buys to illustrate how collectively significant these discounts are. To maximize this deal, make sure the wines you're selecting aren't significantly overpriced vs. retail and you'll find some tremendous bargains. To price-check, compare to listings on Wine-Searcher. For example, the best price on the 2010 Silver Oak Alexander Valley mentioned below on Wine-Searcher is $63.99. Compared to $42.24 fully loaded at Wine.com (no sales tax wine in Massachusetts) - these are tremendous buys. Wine.com inventory varies from state to state. These examples were drawn from Massachusetts inventory. Even better deals may be available elsewhere. Consult this post for details and tips on how to maximize this deal. Question of the Day: What are some of the best deals you see right now at Wine.com? I've been a fan of Sonoma-based Sojourn's Pinot Noir program for some time. 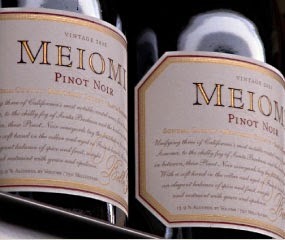 They're one of the most reliably outstanding fruit-forward California Pinot Noir producers I've come across. So I was very pleased to receive samples of their 2012s to give me an excuse opportunity to crack open some bottles early, for a window into this well-regarded vintage from a well-regarded producer. While bottles I previously purchased from their mailing list rest. 2012 California Pinot Noir has been a tricky vintage for me to get my arms around. After the 2009 vintage where Wine Spectator called it the best ever and I felt like I was throwing a bulls-eye every time I popped a bottle, 2012 has been tricky. Crops were abundant, but a bunch of healthy fruit doesn't directly lead to wines of depth, complexity and concentration. Restraint is required in the vineyard otherwise you'll wind up with thin, non-descript wines. That's been my experience tasting through appellation wines, even from well-regarded producers I've previously enjoyed: 2012 is good, but not necessarily as good as 2009. Spectacular. What Sojourn does best is site-specific yet fruit forward California Pinot Noir and this is a great example of their style. Bright light magenta in color but *full* of effortless power and finesse. Aromatically this is an amazing explosion of perfectly-ripened strawberries, briar patch, and orange peel. So light on its feet but it gets serious on the palate. The medium/slightly-full bodied mouthfeel is surprising given how light in color it is. Just brilliant across the palate and on the finish. A tremendous accomplishment here. Classic California Pinot Noir. Wonderful. Dark magenta visually. About 60% opaque. This wine absolutely leaps from the glass. Strawberries, violets, orange oil and supporting woody aromatics. Lively on the palate. There's a brash vibrancy to this wine that's tremendously appealing. Kind of like a youthful prodigy where you're wondering how great they might become. 93+ for now with room for improvement with integration. Although this wine is free of particulates visually, there's a silky chalky aspect to this wine across the entire experience worth noting. Aromatically it's classic California Pinot Noir: Strawberries for days with supporting herbs/briar patch. But also an undeniable calcium-esque aspect even on the nose. On the palate it's very easy to enjoy with a slightly tart note on the backend that keeps it in check. A really terrific California Pinot Noir that I've got no arguments with whatsoever. It's a joy to drink. But somehow it just doesn't raise the bar in terms of excitement that some of the other 2012 single vineyard Sojourn Pinot offerings have. Pop and pour. This flirts with greatness but a few off notes mar an otherwise very pleasant experience. I got a touch of band-aid on the nose. And a bit of a campy note on the palate. I waited a few weeks after it arrived but if I were to open another bottle soon I'd give it a couple hours of air. It may help. The quality of the Sojourn Ridgetop Pinot wasn't surprising. That's been one of my favorite Sojourn bottlings across a number of vintages at this point, and this 2012 is another winner. Search for the 2012 Sojourn Ridgetop Pinot Noir on Wine-Searcher. But the Silver Eagle takes it to another level. Not necessarily because it clobbers you over the head with weight, but because it delivers intensity of flavor and depth that's almost shocking given its moderate complexion. It does what Pinot Noir - domestic or otherwise - does best: Deliver depth of flavor that would be at home in a bolder variety like Cabernet Sauvignon while carrying itself in a confident finesse-driven package. Search for the 2012 Sojourn Silver Eagle Pinot Noir on Wine-Searcher. The Campbell Ranch is solid - and an absolute joy to drink. But at $59 for California Pinot Noir I'm looking for magic. And since it's often attained I think this one struggles just a bit to support its price point. I want to taste more 2012 appellation California Pinot Noirs before writing them off entirely. Like I said - they're good but not great in my experience. The 2012 Sojourn Sonoma Coast is solid. However, I fear the 2013s are going to be rolling in soon for a fall release and we'll be forgetting all about the 2012s soon. For now, my gut is telling me to focus on 2012 single vineyard bottlings from well-regarded producers that I have personal experience to maintain a high batting average. Like I said earlier in this write-up of their newly-released 2012 Chardonnays, Sojourn is a mailing list play. Psychologically they've got it figured out: Free shipping on 6+ bottles, 10% on 12+ bottles. How easy is that? Definitely sign up for their mailing list if you're not already. Question of the Day: What are some of your favorite Sojourn single vineyard Pinots historically? Sojourn Cellars is a Sonoma producer known mostly for their fruit-forward yet site-differentiated Pinot Noirs. But in the past couple years they've release Chardonnays for the first time, sourced from several of the same vineyards where their Pinots come from. 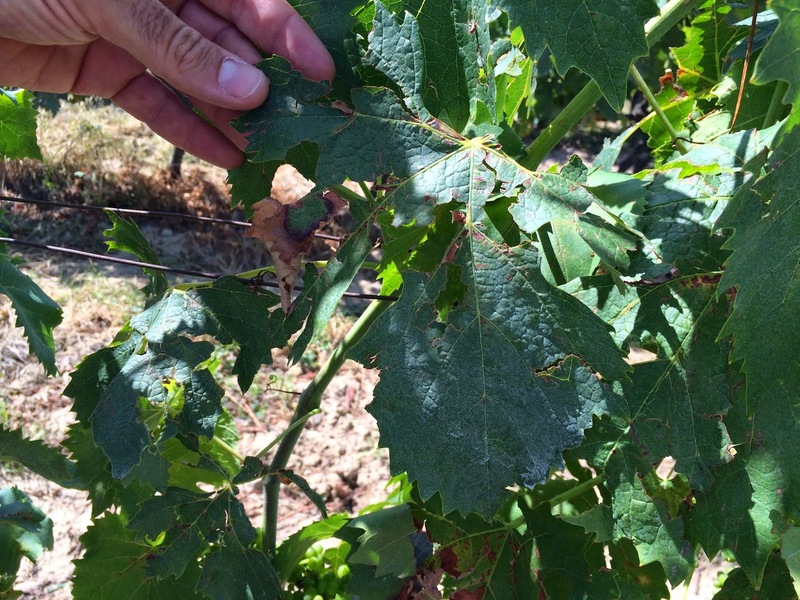 It's common for Sonoma producers to specialize in Pinot Noir and Chardonnay. Producers like Littorai, Rochioli and Kistler come to mind. Even Kosta Browne is making a Chardonnay these days, so it's not surprising that Sojourn would eventually branch out into the variety. But what would a Sojourn Charonnay be like? And would it appeal to folks like myself who adore Sojourn's Pinot Noirs across a number of vintages and bottlings? I tasted 3 of Sojourn's Chardonnays from the highly acclaimed 2012 vintage. Near-ideal conditions led to abundant crops. In some cases, I've seen this result in thin wines lacking vibrance, but top producers effectively managed yield levels to produce concentrated wines with finesse and elegance. 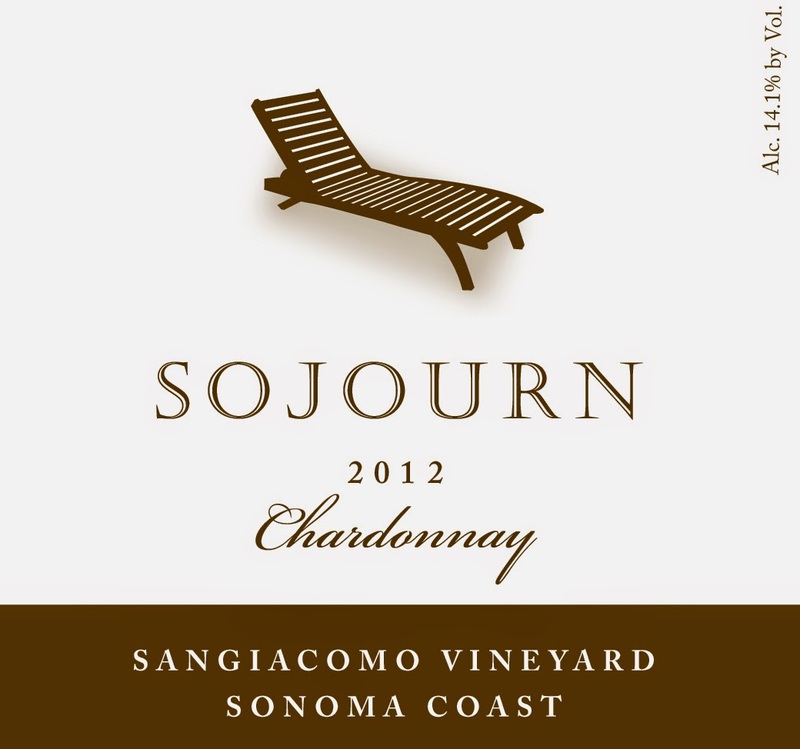 These 2012 Chardonnays from Sojourn are an example of that. Like with the Sojourn Pinot Noir, wines produced from each vineyard show enjoyably distinct characteristics. Brilliant light golden color with a tinge of green and appealing clarity especially considered it was bottled unfined. There's an attractive bright citrus note on the nose that transitions brilliantly to the palate with a soft edges and a hint of vanilla and a satisfying finish. As compared to the 2012 Campbell Ranch, the Durell lacks the feral notes present in the Campbell and is fresher and more appealing to me overall. Visually, this is spun gold with a hint of verde. Aromatically clean with citrus and tropical notes. Medium-full bodied. Ripe pears, crunchy apples, and vanilla notes with a mouth-filling finish. Rich yet pure. Nice stuff. Light/bright gold in color. On the nose, there's a hint of a wild feral note that's not uncommon in this category. Behind that I get pears, and golden delicious apples. The mouthfeel is satisfyingly medium-full bodied. The flavors on the palate trend towards the same fruits evident on the nose, but they're as they'd taste if they were made into pie-filling but tasted cold. Citrus and tropical notes linger on a finish of medium length. From a pure enjoyment perspective if you like Sojourn's Pinot Noirs but don't necessarily like Chardonnay these wines probably won't convert you into a Chardonnay lover. But as someone who enjoys a lot of Sojourn Pinot Noir I can say I liked these Chardonnays quite a bit. They're well made. But variety preferences due to flavor profile run deep and I'm still very much a Pinot guy. Nobody runs a better list than Sojourn. Free shipping on 6+ bottles. 10% off on 12 or more bottles. Great value every time. I never have to think twice before placing another order. Check out their mailing list here. Check back soon for a report on newly released 2012 Sojourn Pinot Noirs. I'd love it if you subscribed to the site for future updates. Question of the Day: Have you tried Sojourn's Chardonnays yet? If so, what did you think? If you've got an American Express card (or cards!) you can enjoy $10 off a $75+ purchase at Whole Foods Market. You can get this deal once for each AmEx card you have - even cards for authorized users - so you can effectively get 13.3% off at Whole Foods for $75 times how ever many AmEx cards you have. The deal needs to be activated for each AmEx card you want to use. The easiest way to do this is by logging into your AmEx account and navigating to "Offers for You". If you want to activate the deal for multiple cards, use the multi-tab browser trick by exposing the offer for each card then clicking each offer to enable it for all of your cards. To avoid overshoot consider buying $75 gift cards or paying for larger transactions with multiple $75 swipes (a split tender) if your cashier can figure out how to do that. Using these techniques you should be able to get 13.3% off on groceries. Or perhaps more relevantly applicable to this wine blog, stack this offer with Whole Foods typical 10% off 6+ bottle sale pricing. Or use it to get a discount on items they normally don't allow discounts on like Veuve Clicquot. I've been banging away here on this blog since 2008. And for the most part I've avoided extended ramblings about inside-baseball topics like leveraging social media, how to start a blog, and sharing pictures of my kids. So forgive me this quick self-indulgent detour. I got an email last week from Jameson Fink from Grape Collective (and other online wine properties) asking if I'd be interested in participating in an interview series they've been doing with wine bloggers and wine industry personalities. Knowing Jameson mostly through Twitter (@JamesonFink) I was definitely up for taking part. If you've had a blog for any period of time you'll notice you get spammy requests for all sorts of things, and a request for an interview usually turns into unpaid writing. A common fallacy about bloggers is that we're starving for things to write about. On the contrary I find I often feel guilty for not writing about things I feel I should write about and that I've been neglecting the blog for too long. But the moment I received the questions Jameson emailed me I was thrilled to immediately respond. Because the questions were so insightful and summarized exactly what's on my mind better than I could have. Jameson could write a book on how to conduct an interview. He could easily hang with Terry Gross. Coming from the perspective of an interviewee - the key to conducting a good interview is to do the hard work of researching a subject's background and identifying the unique interesting things readers would find entertaining. Head on over to Grape Collective to check out the interview. 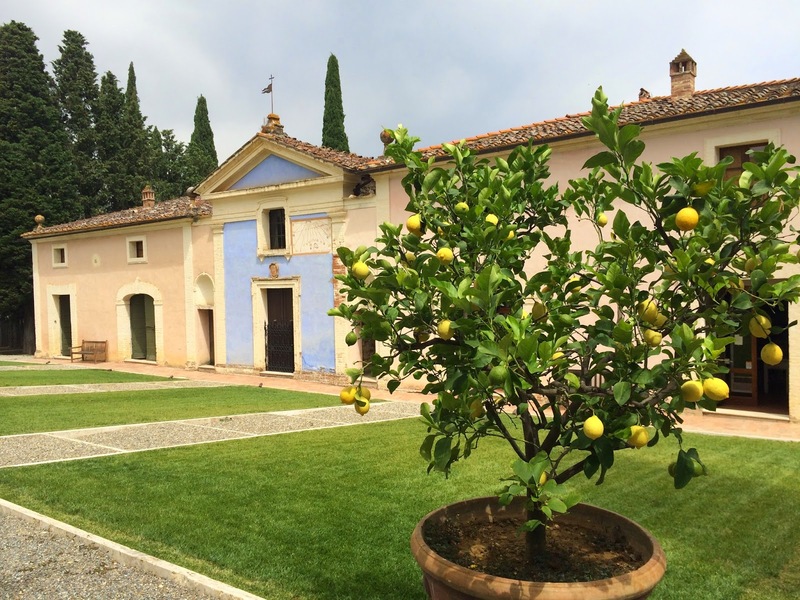 We talk about Tuscany, wine-centered kid-friendly vacations, how to leverage points & miles to visit wine regions, Monastrell, and Northern Arizona University (NAU Alumni represent!). Something for everyone. And for a little bonus content check out my view on the Top 10 Places to Wine & Dine in Boston. My thanks to Jameson for the opportunity and his amazing work. And thanks for reading these past six years. I'll look forward to continuing the conversation. One of the first wines I noticed when I started paying close attention to Wine Spectator's Wine of the Year program was the Casanova di Neri Tenuta Nuova. Their 2001 was named Wine Spectator's Wine of the Year in 2006 ($70/97WS) and at the time I didn't care enough to understand why they picked this specific wine. I just knew that they thought it was a really good bottle of Brunello. In hindsight it was clearly a nod to a producer leading a renaissance in winemaking in Montalcino. Wine Spectator wanted to feature them because they took a traditionally well-regarded region to the next level by applying contemporary winemaking techniques to make wines that compete at the very highest level on the world stage. Today, Brunello maintains its reputation as one of the great appellations in the world. But critics suggest it is at risk of losing its prominence if too many producers rest on their laurels. I wasn't in a position to buy the 2001 Tenuta Nuova when Spectator named it Wine of the Year, but a few years later the 2006 garnered a perfect 100 point rating from James Suckling. I brought it to a BYOB-friendly Italian bistro last year. The wine was incredible - truly one of the best I've ever tasted. I bought the 2006 immediately after tasting the 2005 at Wine Spectator's Grand Tour Boston. What impressed me about this bottling was that in good vintages it was great. In great vintages it was amazing. 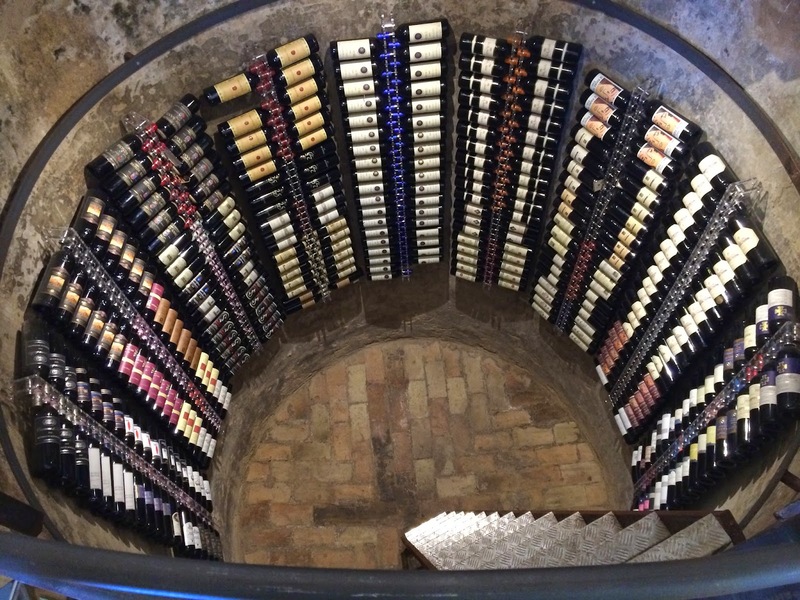 So when I was trying to decide which wineries to reach out to for a visit on a recent trip to Tuscany Casanova di Neri was at the top of the list. Casanova di Neri was founded in 1971 by Giovanni Neri then passed on to his son Giacomo in 1991. Their flagship wines are their Brunello di Montalcino (~$51) and Brunello di Montalcino Tenuta Nuova (~$80). 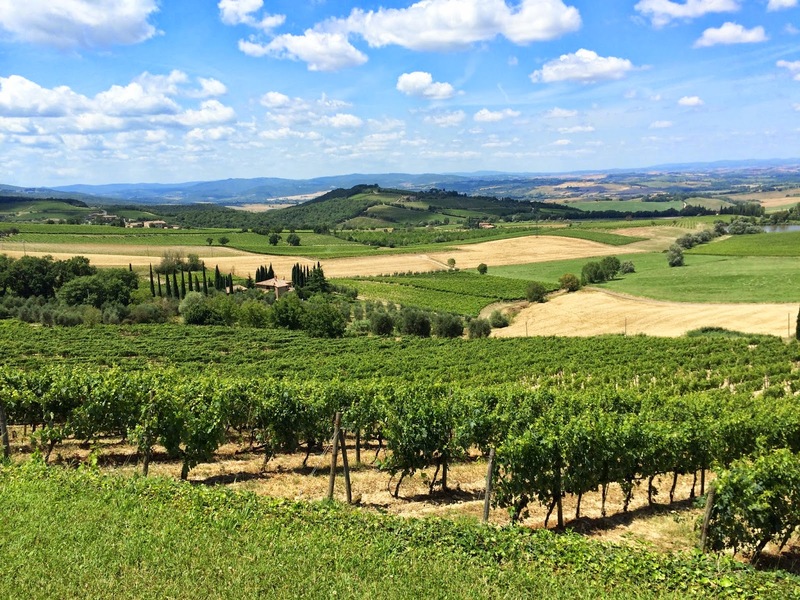 Like all Brunello, these wines are 100% Sangiovese grown near the town of Montalcino. For some reason I've always thought Italian wineries had a much longer history than Napa wineries. 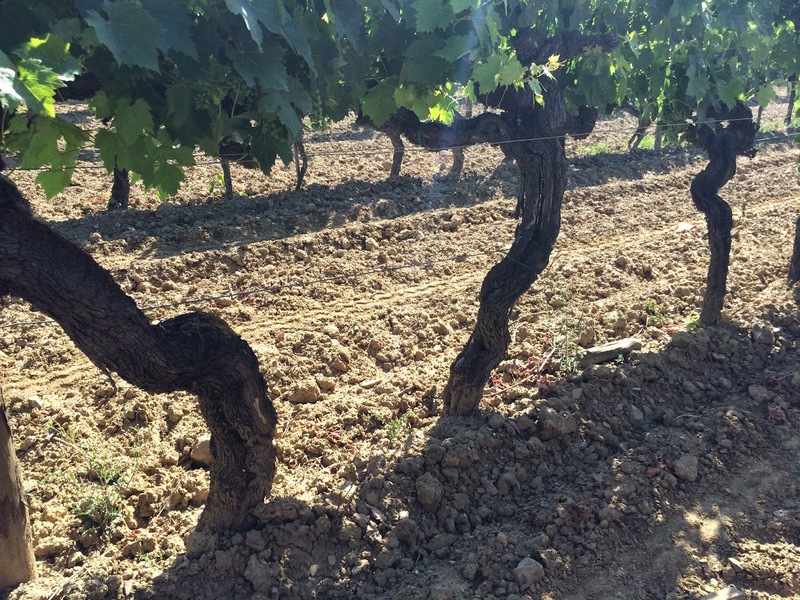 Vineyards in Italy are indeed very old but in reality the history of high quality Brunello production, with the exception of a few producers, isn't tremendously long. In the 1970s there were about 30 Brunello producers. Now there are more than 200. Just like in Napa/Sonoma many of the best producers weren't in existence 50 years ago. I emailed the winery inquiring about a visit and Giacamo quickly responded. After a beautiful drive down from our villa about an hour north we arrived for a morning visit and tasting. Giacomo greeted us an introduced us to his son GianLorenzo who would be our guide. Their first production vintage was 1977. 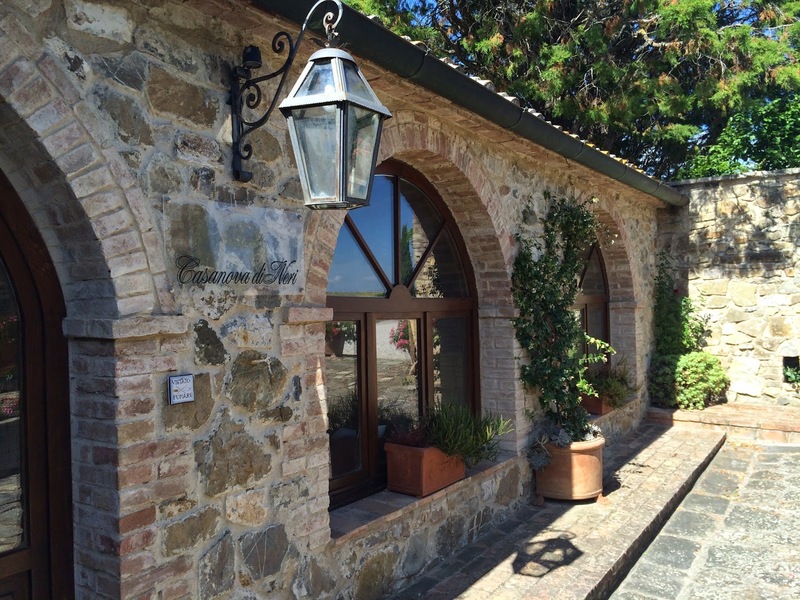 As things shifted from Lorenzo Neri to Giacomo Neri a new gravity-feed winemaking facilty was established in 1999. Today Casanova di Neri produces 200,000 bottles annually. 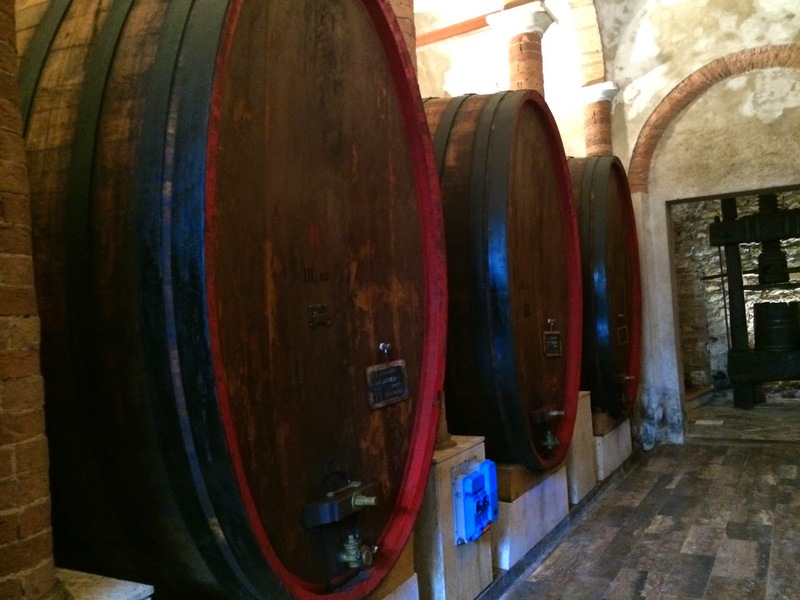 The Casanova di Neri story is an evolution of winemaking styles. To this day, the classic Casanova di Neri Brunello (~$50) embraces a traditional style. We taseted the 2009 at the winery then again later that night at our villa after buying a bottle at the supermarket. It's aged in very large (10,000 liter) neutral oak barrels for 45 months. The 2009 shows pretty red fruit. Cloves. It's light in color and elegant. The 2009 Casanova di Neri Tenuta Nuova ("new estate") was the wine that I came to taste and it didn't disappoint. Although 2009 wasn't nearly the vintage 2001 nor 2006 was it provided a chance to taste the wine in a non-spectacular vintage. And it showed very well. The 2009 Tenuta Nuova feels lower in acidity than the 2006. GianLorenzo felt it wouldn't have the long life the 2006 will, but for immediate/early consumption it's showing very favorably in my opinion. It is very pretty on the nose with effortless power. Silky, slightly sweet tannins. A great combination of characteristics that make this wine a joy to experience. The most important market for Casanova di Neri is the United States. They produce several other wines you might find here. The affordable Irrosso is simple but fresh with firm Italian tannins. Pietrodonice (~$70) is 100% Cabernet with appealing brilliant fruit and bright acidity. Cerretalto (~$190) goes in a different direction with iron notes, hoisin sauce, a little bit of salt and earth. 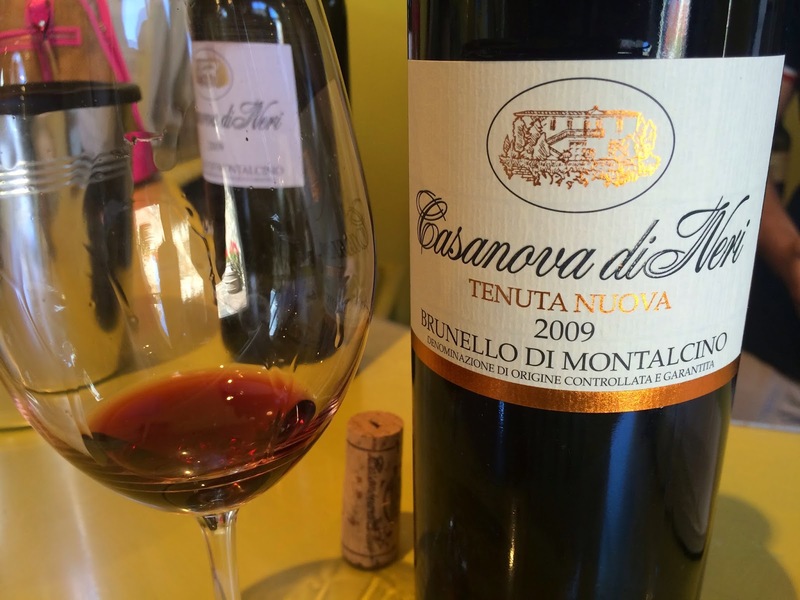 In weaker vintages it is blended in with the classic Casanova di Neri Brunello bottling. If, like me, you're more of a new world wine enthusiast but you're interested in expanding your palate to embrace traditional old world regions, one way to ease the transition is to explore modern producers. 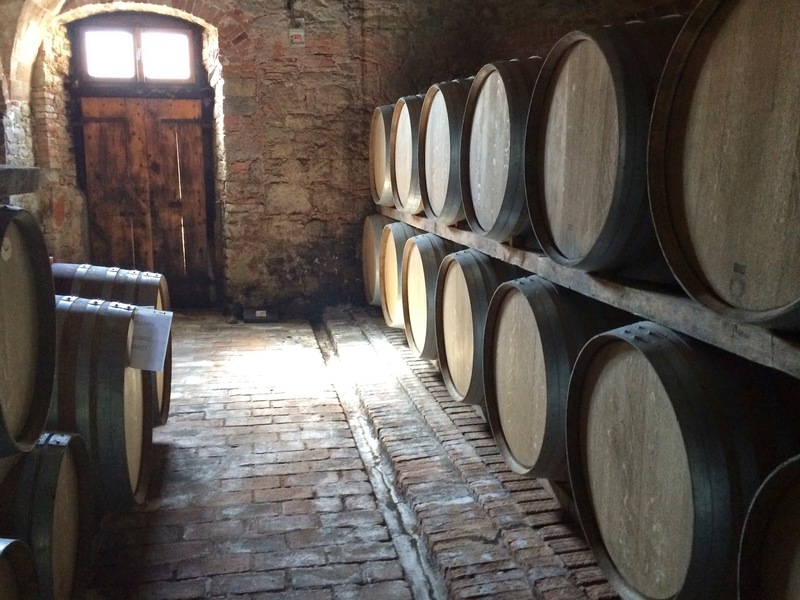 To visit Casanova di Neri is take in the story of a family whose roots are firmly planted in Montalcino producing wines known on the world stage by applying the best modern winemaking techniques. Their Tenuta Nuova is a wine you have to taste. 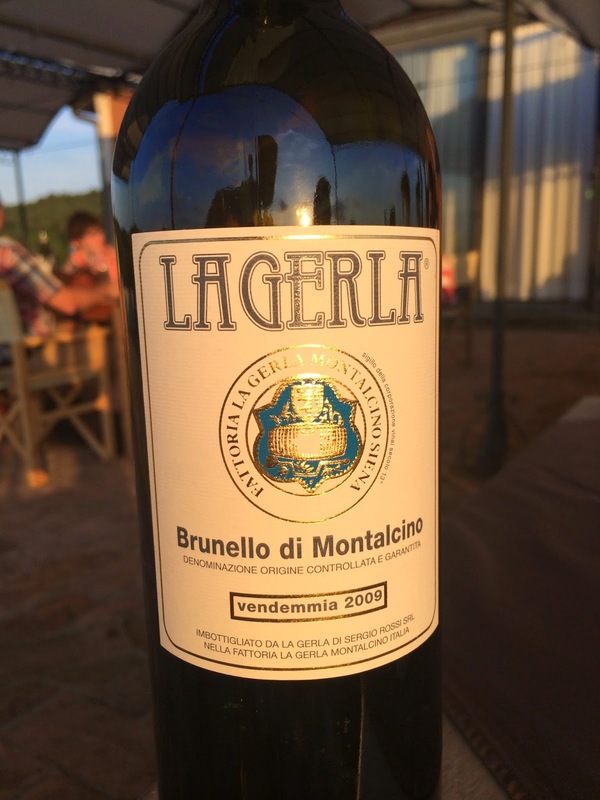 And it's especially interesting to compare it to their more traditionally made classic Brunello. 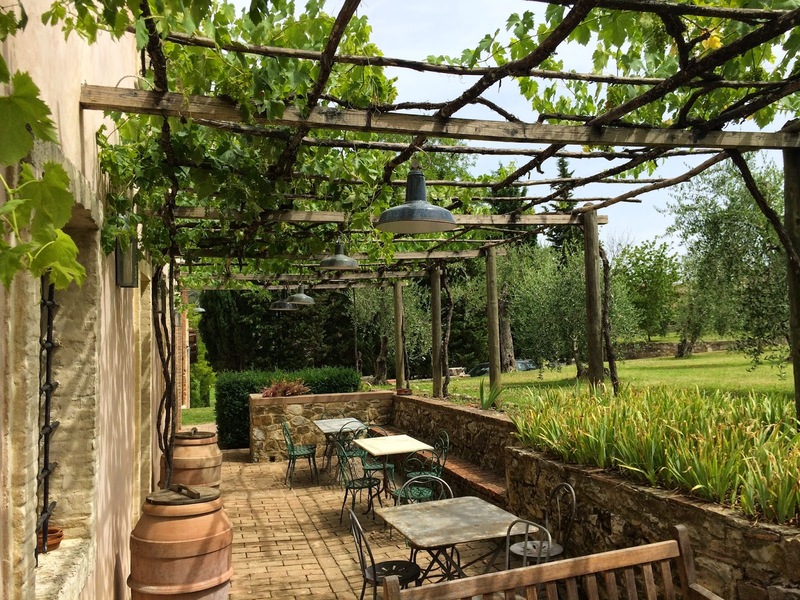 Their tasting room open to the public and right along one of the main roads that leads up to Montalcino, but call or email ahead for an appointment. 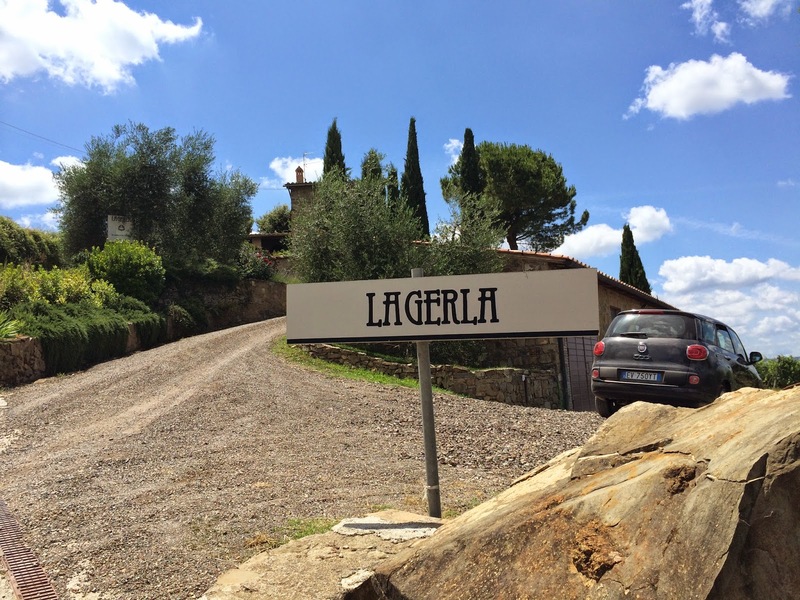 A visit to a modern producer like Casanova di Neri provided a perfect comparison point to the more traditional La Gerla later that afternoon. I'd love it if you subscribe to The Wellesley Wine Press for future updates. Bin Ends (with locations in Needham and Braintree, MA) is offering the 2010 Peay Sonoma Coast Pinot Noir for $38.40/bottle -or- $96 for 3 bottles which averages out to $32/bottle. They can ship to MA or hold for in-store pick-up at either location. As of now there are 39 out of 48 bottles remaining. I'd expect these to be gone within 24 hours. This is a very nice price for Pinot Noir from a well-regarded terroir-driven producer like Peay. It's a 3-bottle buy for me. I can never have enough high quality ~$30 California Pinot on hand. Well, the day we thought would never come may have finally arrived: Governor Patrick signed the FY2015 Massachusetts budget and it includes provisions to allow the direct shipment of wine from out of state wineries to Massachusetts residents. If all goes well, shipments are scheduled to be allowed starting as early as January 1st, 2015. 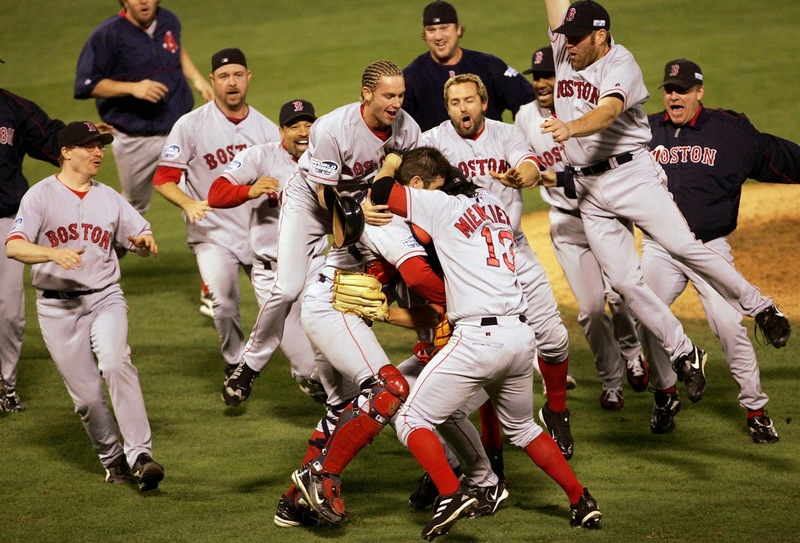 But if you've been a Red Sox fan prior to 2004 you know not to count a victory until it's a done deal. Direct shipment will only be a reality when we're able to successfully order wine from out of state wineries and have it show up at our home or office without incident. What needs to happen in order for that to actually occur? A few more things. First, the state needs to set up the system whereby wineries obtain shipping permits. One area of concern as this legislation was being discussed is that the permitting costs and application/reporting requirements would be so onerous that small wineries (that is to say: the ones we care about because they're not distributed here) wouldn't go through the hassle of obtaining a permit. Those fears appear unfounded. The application fee is $300 and the annual fee is $150 which is a little high, but not out of line with other states. Keep in mind that wineries have to pay these fees for each and every state they ship into. We haven't seen the application yet but the annual reporting requirement (as opposed to monthly) is quite reasonable. I believe the legislation was designed to tax shipments at the current prevailing rates. Right now, that means wineries would need to remit excise tax but not sales tax since wine sold at retail is currently excluded from sales tax. That means that no sales tax needs to be collected on shipments. This is favorable for wineries and wine enthusiasts on two fronts. First, the current excise tax on table wine is $0.55 per gallon. That's about $0.10 per 750ml bottle which is peanuts. If things stay this way, Massachusetts will go from being one of the least friendly states for receiving wine to one of the most friendly. Second, some states effectively charge an import tax on wine. If Massachusetts followed New Hampshire's model, wine shipments direct to consumers would be taxed (whereas wine purchases from the state stores are not taxed). We'll keep an eye on this aspect of the issue as things firm up. Perhaps the biggest remaining question is FedEx/UPS fleet licensure. Currently, some small out of state wineries that aren't distributed here already have permits to ship. But in practice they can't because FedEx/UPS won't accept shipments here. They won't accept shipments here because they have to get a $200 permit for every truck that transports alcohol. A Boston Globe editorial picked up on this issue and notes that legislators are considering addressing this issue concurrent with the passage of the direct shipping. Worst case, FedEx and UPS would have to pay the per-truck fees which would mean higher shipping costs. It would seem that they'd be incented to get the permits one way or another since the potential market for shipments is likely going to be much more compelling for them now. HB 3154 is the one to watch. The biggest remaining limitation is the lack of inclusion in out of state retailers in the direct shipping provisions. As wine enthusiasts we'll still be barred from gaining access to imported wines since the laws only allow bonded wineries to ship direct. Hopefully this can be considered in future legislation since it would seem discriminatory that Massachusetts retailers and wineries from any state can ship to Massachusetts residents yet out of state retailers cannot. Strange, right? Other questions remain. What about craft beer and spirits? Will we see improved access to these products which are as regionally specific and artisinal as wine? What about Massachusetts retailers who are still barred from shipping out of state? And are they really permitted to ship in-state? Or is that just something that's been allowed for a while without it being officially on the books so as to prevent a commerce clause violation? What about Massachusetts wine collectors who are still barred from shipping to out of state auction houses? Hopefully these issues can be reviewed with fresh eyes in light of this winery direct shipment progress. For Massachusetts wine enthusiasts this is a day to celebrate. These changes should allow us to purchase wines from out of state wineries large and small that we have interest in for exploration or recurring sales. It should also mean that when we're travelling and visiting a tasting room it shouldn't be an issue shipping wine home. And when someone wants to send a bottle of wine as a thank you from a special winery that shouldn't be an issue either. But issues remain and I hope they can be considered in the coming years. For now let's take a moment to acknowledge the hard work of those that made this possible. And look forward to making a closer connection with the wineries across the country we want to get to know better. 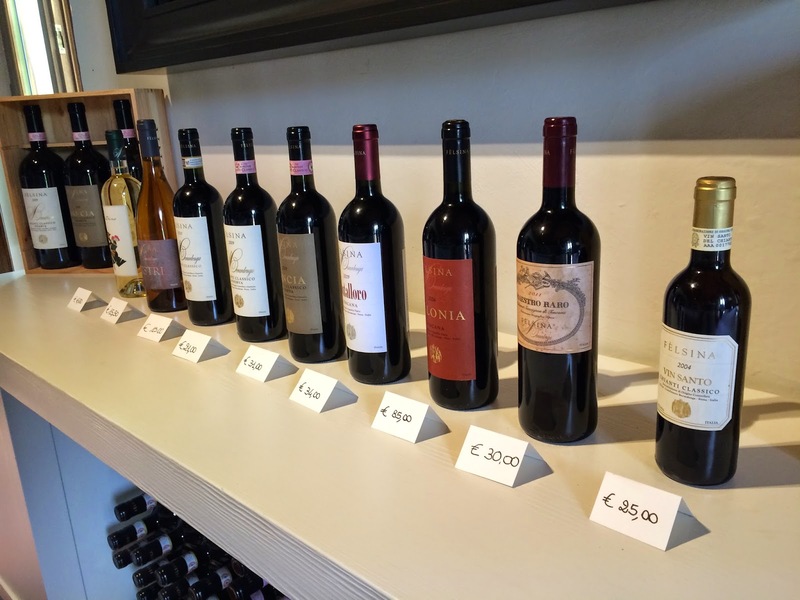 Before arriving in Italy, I reviewed my tasting notes over the years to survey which Italian wines I'd tasted that I'd like to learn more about. Being more of a new world kind of guy (that is to say wines from anywhere but Europe) the list was short. In practice, I tasted more benchmark Italian wines at the 2011 Wine Spectator Grand Tour in Boston (full review) than I did most anywhere else so I looked closely at the Italian wines I liked there. One of the more impressive wines I tasted there was the 2008 Tenuta Sette Ponti Oreno, the $100+ release price flagship wine from Tenuta Sette Ponti. We were staying just 35 minutes away from the winery so we paired a visit to Tenuta Sette Ponti with a stop at Cortona - the setting for the book and movie "Under the Tuscan Sun". Cortona was great and so was our visit to Sette Ponti. I always get a feeling I'm in for a good winery visit when the directions include notes about gravel roads and driving over bridges depicted in famous paintings. The one-way Ponte Buriano bridge you cross when driving to Sette Ponti from Arezzo is featured in the Mona Lisa now housed at the Louvre in Paris. 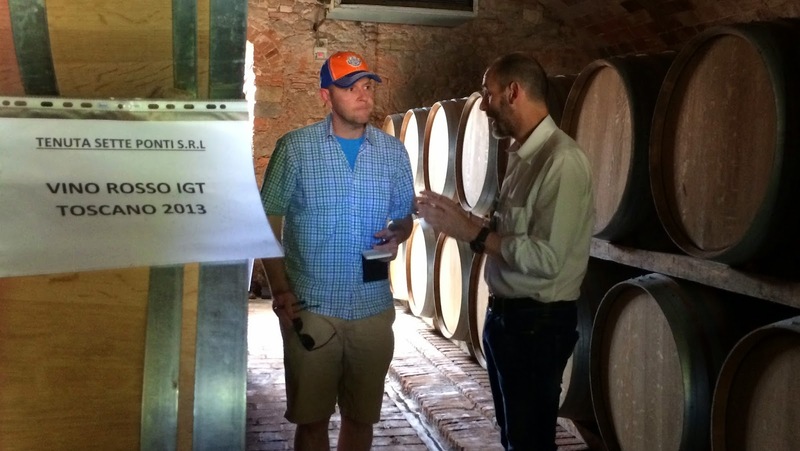 We met with Stefano Maggini, Tenuta Sette Ponti's Export Manager. 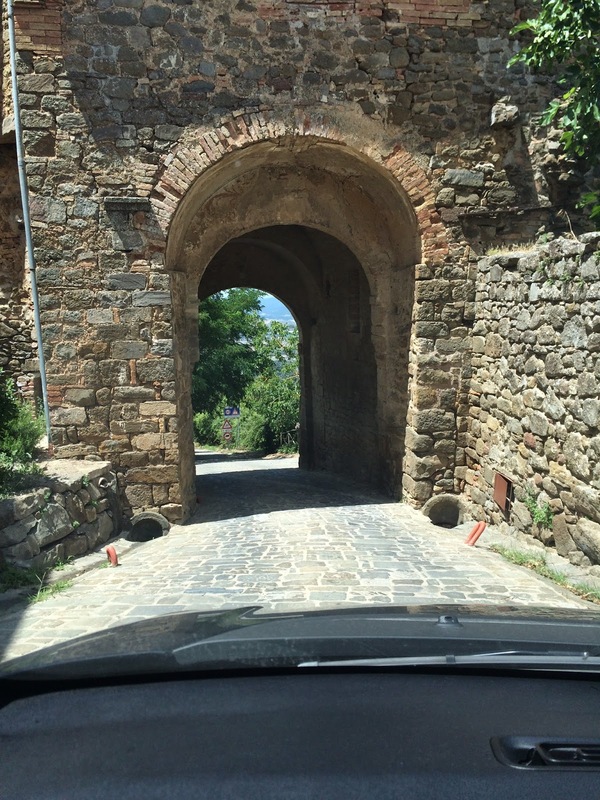 Sette Ponti derives its name from the seven bridges you'll cross driving between Arezzo and Firenze. The Moretti family purchased the land in 1950 from the king's family. 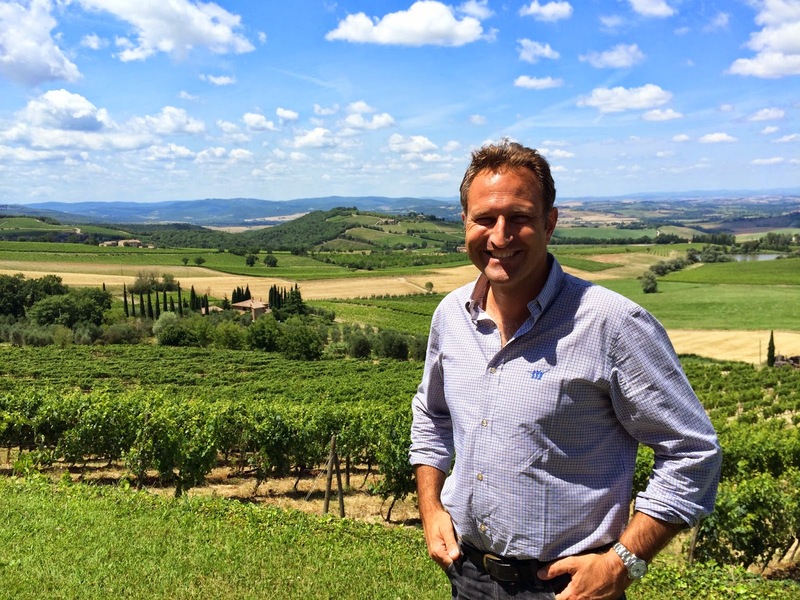 Antonio Moretti now owns not just Tenuta Sette Ponti in Tuscany but Poggio Al Lupo in Maremma and Feudo Maccari in Sicily. The vineyards have a long tradition, but what drew me to Sette Ponti specifically was the international acclaim their wines have earned. Especially Oreno. 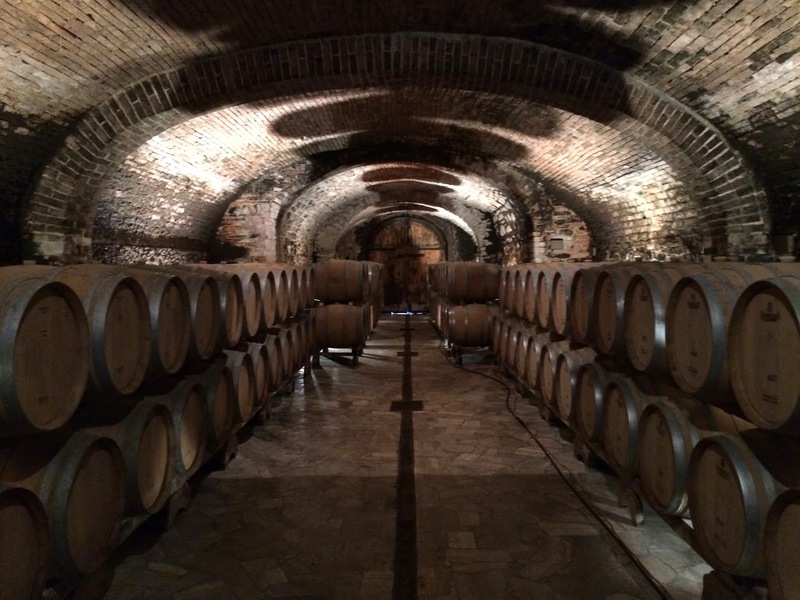 90% of the Sette Ponti wines are exported and the United States is their most important market. 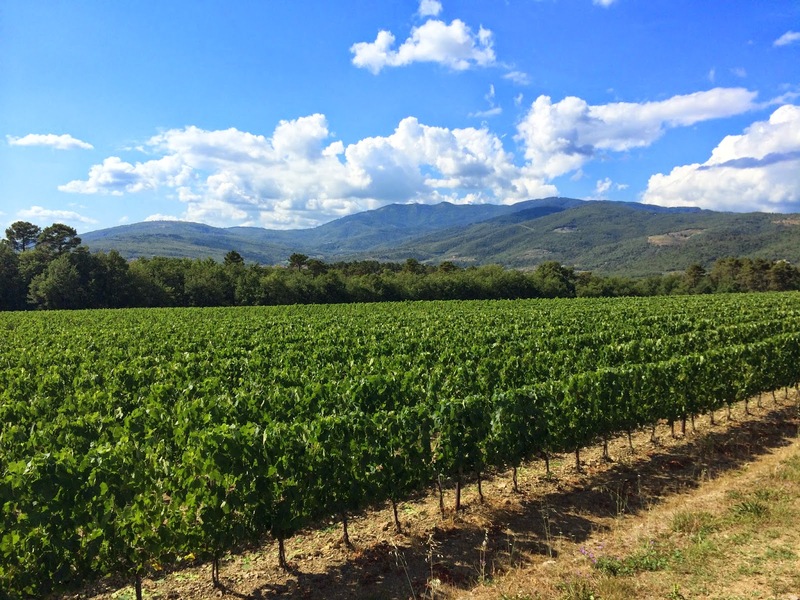 On a visit to a producer in Castellina-in-Chianti, Ferrini suggested crop thinning, a standard viticultural practice that lowers yields in order to increase the quality of the remaining harvest. The proprietor was incredulous. "Cut these vines and drop the grapes on the ground?" he said. "I'd sooner kill my own daughter." Thanks to Sette Ponti's outstanding vineyards combined with forward thinking viticulture and vinification, their wines compare favorably with the best wines in Italy. But a more relevant comparison from my tasting experience is Bordeaux. For me, Oreno shows best as a serious sit-down wine meant to be savored with indulgent meals on special occasions. 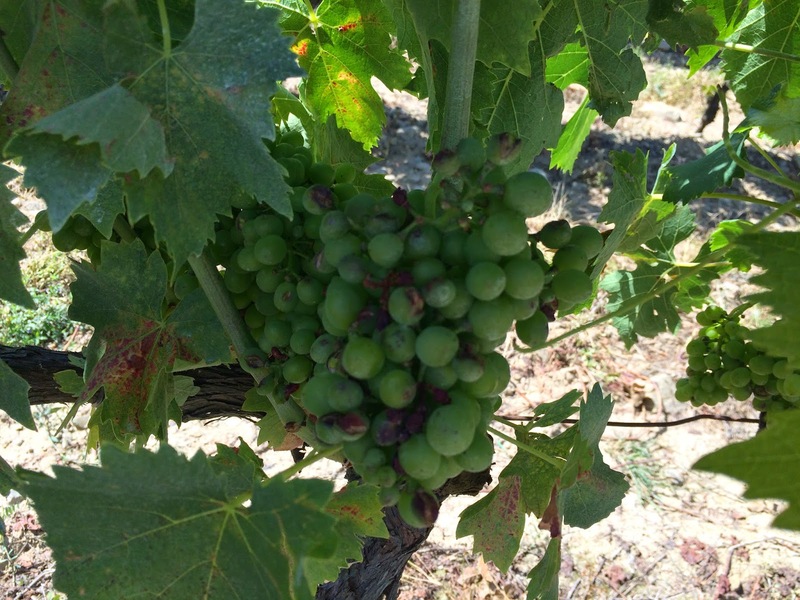 Oreno is a blend of Bordeaux varieties. 50% Merlot, 40% Cabernet Sauvignon, and 10% Petit Verdot. Although those varieties are familiar to California wine enthusiasts it's therefore surprising how much more accessible (that is to say easily enjoyable) its >90% Sangiovese sister wine Crognolo is. And Crognolo is much more affordable - it carries a release price of just $33 vs. $107 for Oreno. 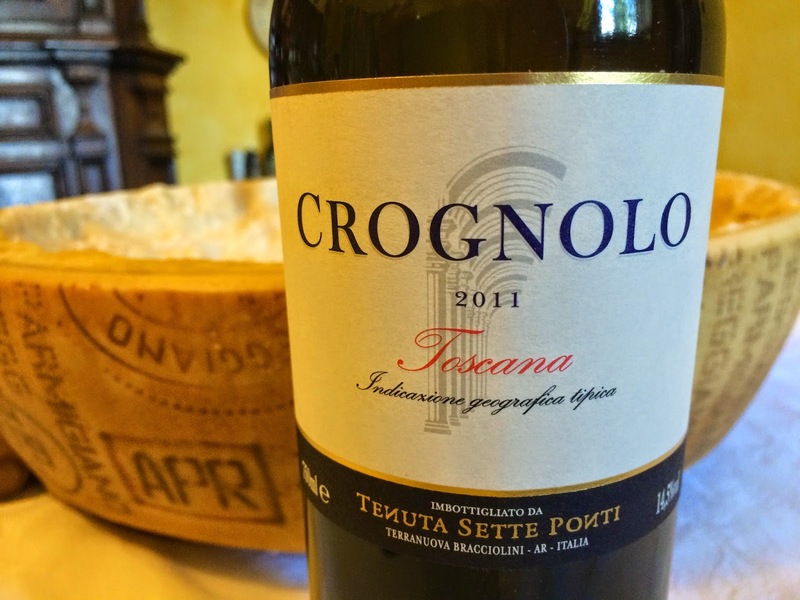 Crognolo is big on the nose with rich fruit and supporting tar notes. It's fresh with subtle enjoyable toasty oak influence and firm but semi-sweet tannins. Very, very nice. 95 points James Suckling - great call. I found it for around 17 euro at the supermarket in Italy but it's not much more in the US if you catch it from a discount retailer. Don't get me wrong - the Oreno is terrific. Especially if you can catch it on a deal. But for me, for immediate consumption - Crognolo is the discovery here. We tasted through other wines in the Moretti portfolio. Poggio Al Lupo (perfume,black licorice, 100% Cabernet Sauvignon, firm tannins). Orma (situated between Ornellaia and Sassicaia, Merlot/Cab/Cab Franc, very nice, appealing purity of fruit). Good stuff. And the Feudo Maccari wines from Sicily showing Nero d'Avola's juicy "drink now" characteristics very well. I spotted a great deal from Vino Divino on the Feudo Maccari Nero d'Avola just yesterday. Definitely check that out if you're in Massachusetts. 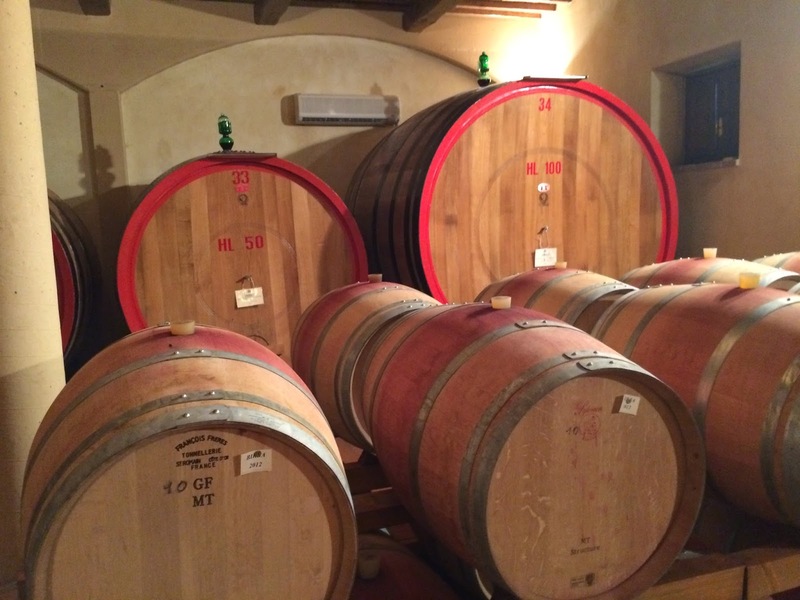 Tenuta Sette Ponti was our first winery visit out of four while in Tuscany. It was a fantastic stop and it was great to taste Oreno on-site and compare it to other wines in their portfolio. Crognolo was the discovery of the visit for me. Sort of the Clio to El Nido price and quality wise. Highly recommend. Find it on CellarTracker and Wine-Searcher. Oreno is their flagship wine you've got to try. Find it on CellarTracker and Wine-Searcher. You may notice that both of these wines sell in the US for significantly less than their release price. Especially the Oreno. For example (magnums for $111). I asked Stefano about this and he acknowledged that there's a bit of a grey market for their wines whereby distributors in some countries sell direct to retailers in other countries. My advice: Buy from retailers you can trust who care about the provenance of their wines. 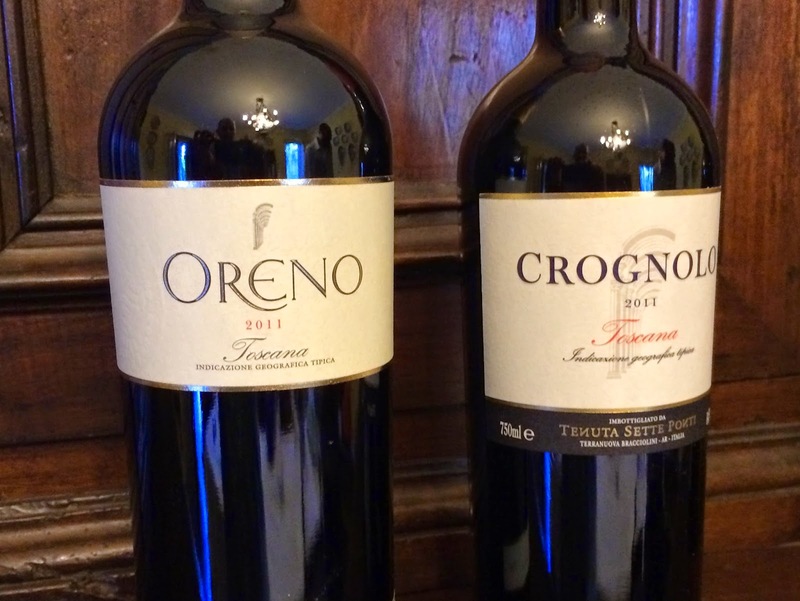 So my recommendations based on this visit is to buy Crognolo for an affordable outstanding Sangiovese, get a taste of Oreno to establish a relatable frame of reference for the great wines of Italy, and explore the other bottlings in the Moretti portfolio. Next up: A visit to Casanova di Neri. I'd love it if you subscribed to The Wellesley Wine Press for future updates. We just got back from Italy and I'm pleased to report we got more chances than I thought we would to visit wineries in Tuscany. Before I get into the winery visit reports over the next couple weeks I thought I'd share some photos of the highlights from our trip. Italy is such a photogenic country. Click any of these images to enlarge. 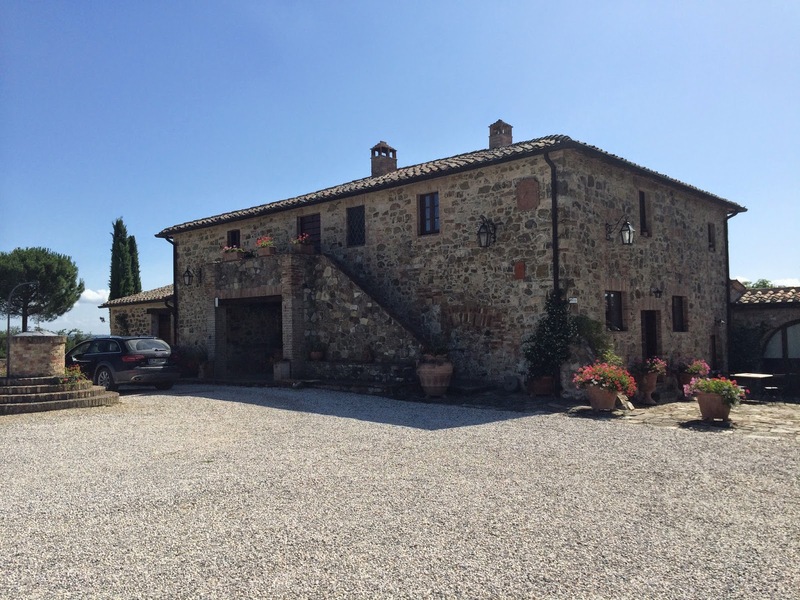 We stayed at an agritourismo in Tuscany called Borgo Iesolana. 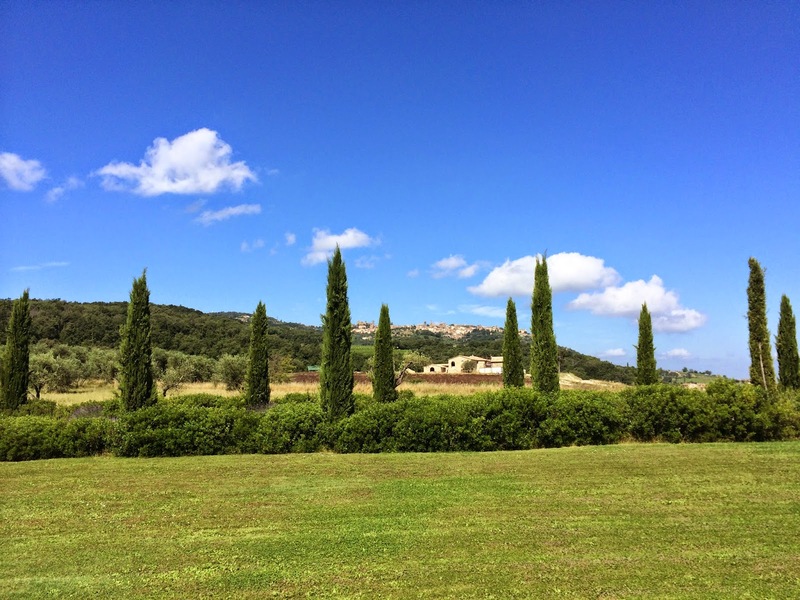 The property is surrounded by vineyards and olive trees they use to make a respectable house wine and impressive olive oil we enjoyed throughout our stay. The property has tremendous views and a couple of beautiful pools. The central location (between Siena and Arezzo) made for a great jumping off point for day trips. But first, we had to go to the grocery store to stock up on supplies for the week. The cheese and cured meat selection was amazing and the wine prices - almost entirely Italian not surprisingly - were quite favorable. It was a blast shopping there. I spent well over an hour trying to determine which product in the dairy case was half & half. Cortona was absolutely wonderful. 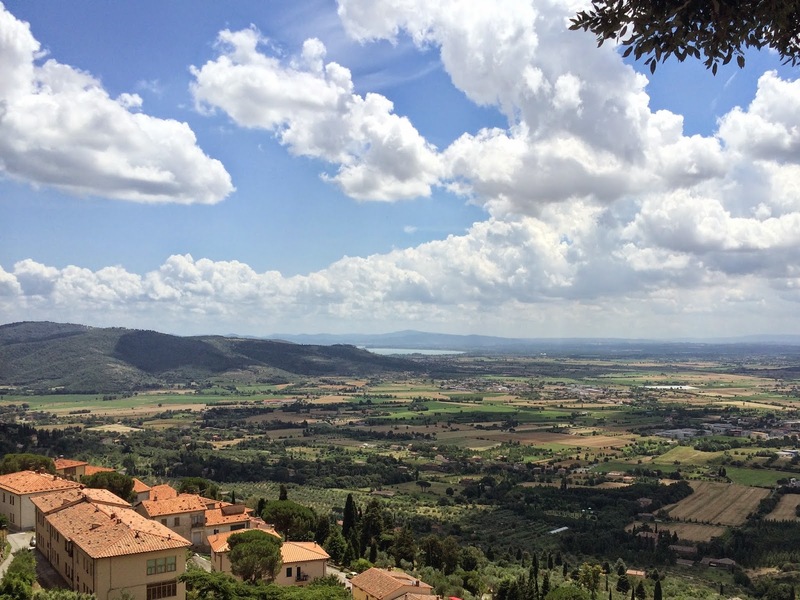 Highly recommended as an accessible, charming, classic little Tuscan hill town. 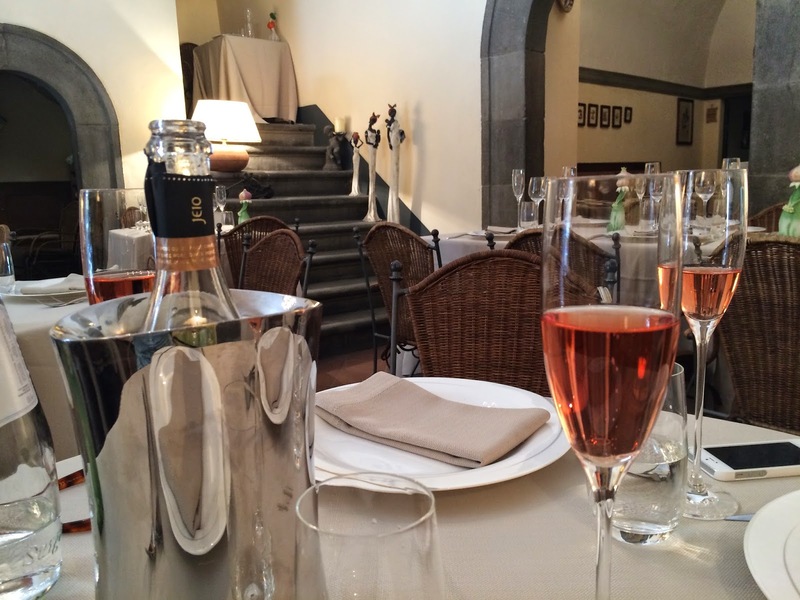 We had a terrific lunch in Corona at Ristorante Preludio. Absolutely totally empty at 1:00 pm and for the entire time we ate there, which is usually a problem sign for a restaurant. But it was listed in the Gambero Rosso guide so we tried it and I'm so glad we did. Upon arrival they poured a taste of Jeio Sparkling Rose that absolutely hit the spot. I'd love to track some of that down back here in the US but I'm fairly sure it was so good because of the overall situation in which it was enjoyed. 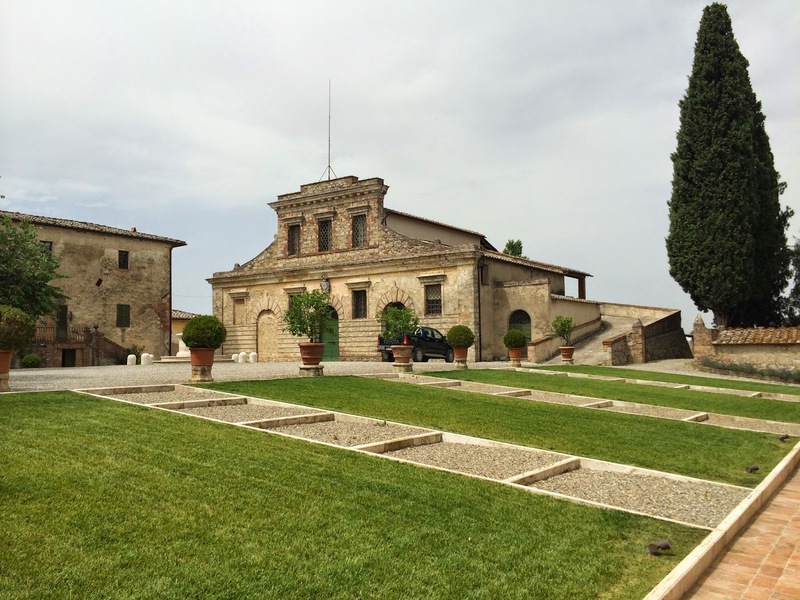 The first winery we visited was Tenuta Sette Ponti near Arezzo, producers of the famous Oreno. Beautiful classic vineyards. If you like Oreno they've got another wine that's quite a bit more affordable I bet you'd enjoy. I'll tell you more about that visit soon. For our wedding anniversary (14 years!) Deanna and I went down to Montalcino to taste Brunello. This was probably the densest concentration of wineries we encountered in Italy. I wanted to visit a more modern producer with international acclaim (Casanova di Neri) as well as a more traditional one (La Gerla). Though both producers are well regarded by American critics these two visits provided for a very good comparison of styles. The La Gerla name is very new to me. I was perusing the Wine Spectator ratings database and comparing scores from Antonio Galloni's Vinous Media and La Gerla jumped out at me. We drove up to visit the Ferrari Museum in Maranello (a highlight for me and my 9 year old for sure). Earlier this year I heard this awesome story on NPR about the town where Tortellini comes from. It happens to be very close to a lot of exotic car manufacturers so it was a great time to stop in for some Lambrusco and Tortellini. 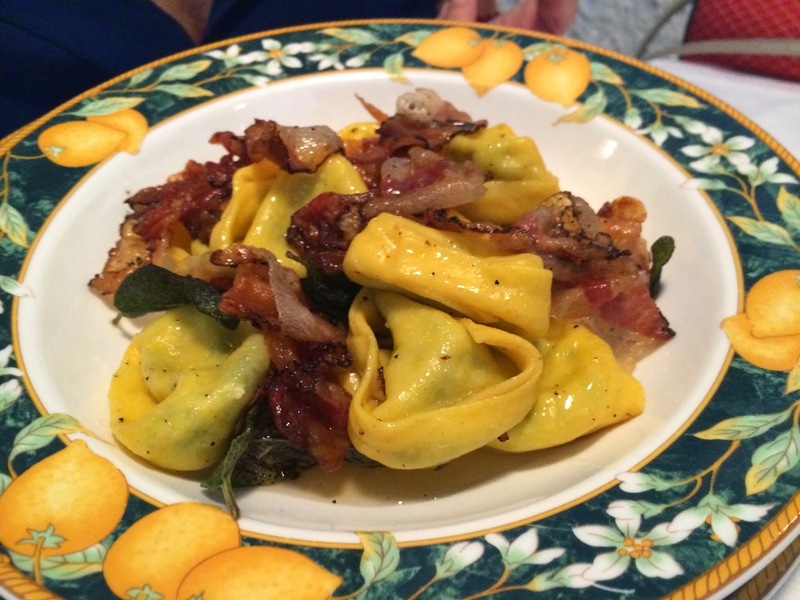 We had a fantastic meal at La Lumira, sampling all three distinct styles of Tortellini they offered that day. 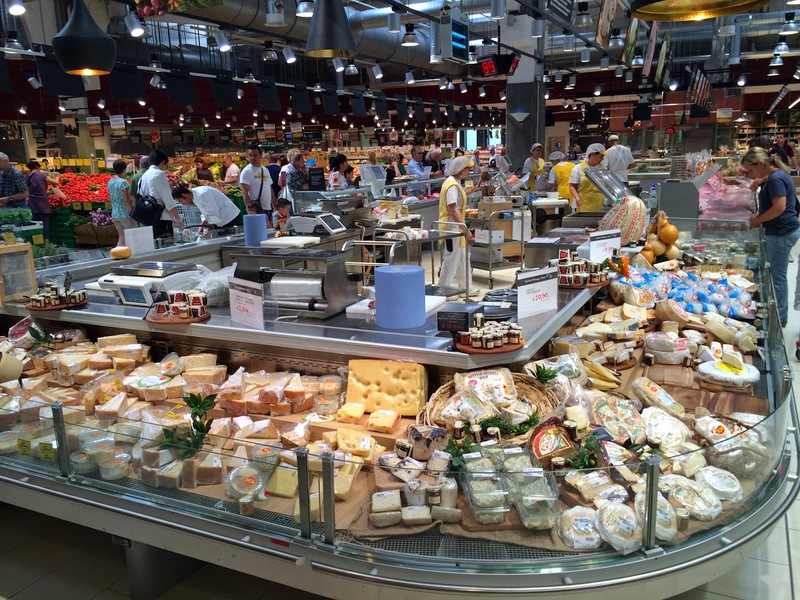 It was amazing how the cuisine changes just a few hours' drive north of Tuscany. Tortellini di ricotta di bufala con salvia e guanciale at La Lumira in Castelfranco Emilia. 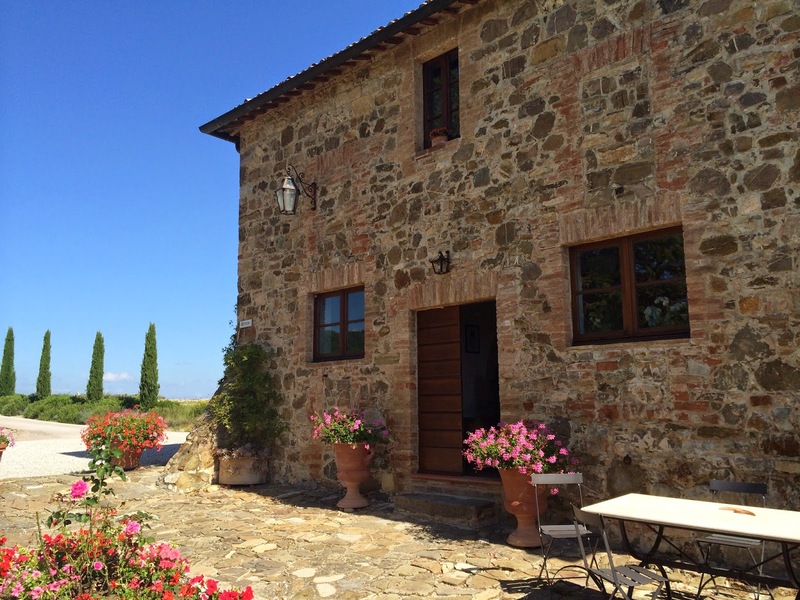 On the way to San Gimignano, just a short distance from our villa was Fattoria di Felsina. Their wines are very well regarded internationally (especially Fontalloro and Rancia) and their tasting room, grounds, and cellar are really nicely appointed. On the flight back home I mentioned to the flight attendant that I was enjoying exploring their wine selections and he said "Oh, you're into wine? We've got a secret wine that's not on the menu from Bierzo. Want to try it?" I remembered Adam Japko's posts on WineZag from a while back singing the praises of wines from this region. It was one of those things where I just kind of mentally filed it away for future action. 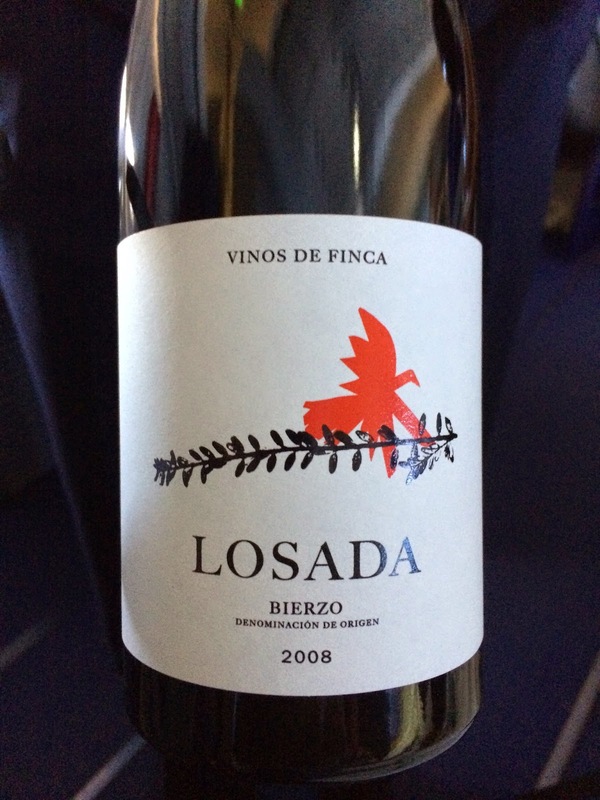 But in referring back to Adam's post one of the two wines he specifically called out was from Losada - the very wine they were pouring on the flight. Combined with my favorable experience with the Petalos I've also had in the past, I too may become the next big fan of the Bierzo region. Side note: Lufthansa is my new favorite airline. Such awesome service across the board. They really know how to make a family feel comfortable in Business Class. They're like the Four Seasons of airlines. So that's a little preview of a few posts I'll have coming, hopefully in the next couple weeks. I'd love it if you subscribed to the site so you can catch those posts as well. Question of the Day: If you could visit any wine region in the world, where would you go next?